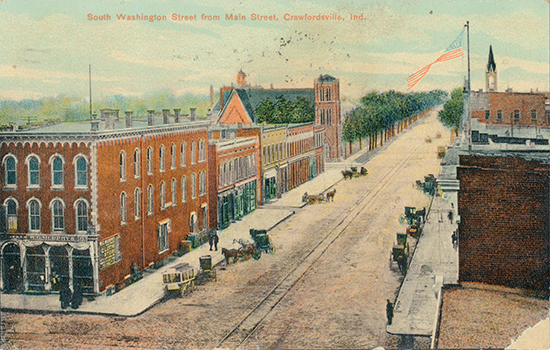 A couple of months ago I gave a presentation to the Women on Campus about the history of Crawfordsville. It was such fun to put together. I thought that I might share some of the great images from the presentation. 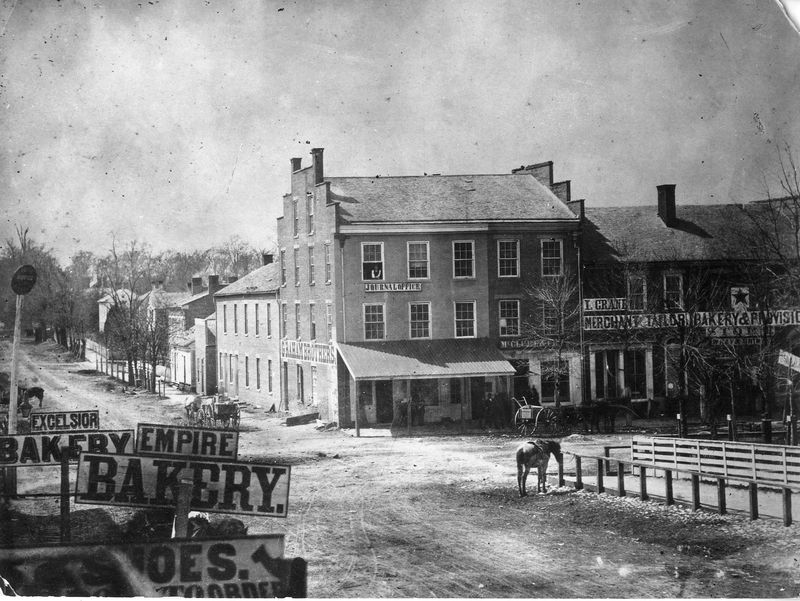 This is a picture of the Hanna Buildling – former home of Murphy’s Department store, now Heathcliff. This is East Main Street at Washington Street. I love the many bakeries and the wooden sidewalks to keep the ladies skirts out of the mud! 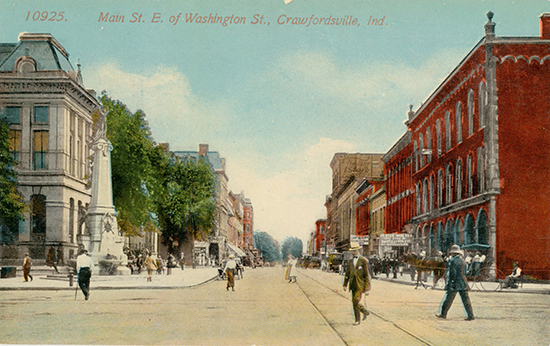 This is a post card of the same intersection many years later and this time looking south. The church on the left is the old St. Bernard’s Catholic church while the church on the right is the Wabash Avenue Presbyterian church. 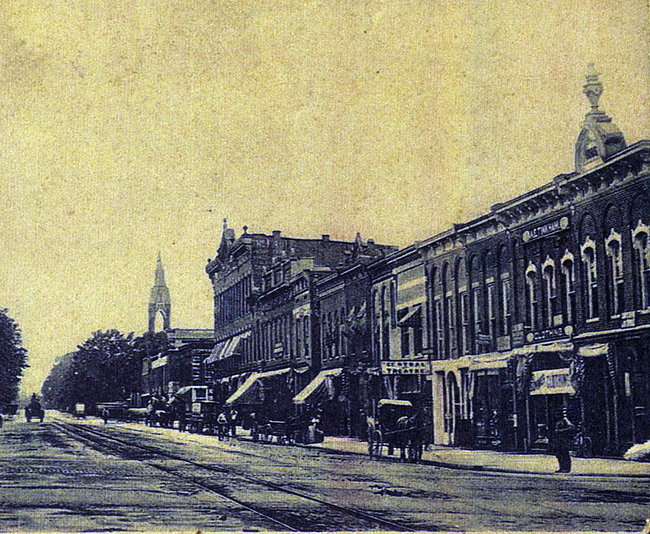 This is from the same time frame, but this time looking east down East Main Street. Look at the policeman at the far right. There is the Central Theatre right in the middle of the block. Until I scanned this image for the talk, I had no idea that the Central existed. It is so much fun to find something new. It is even more fun to share it!